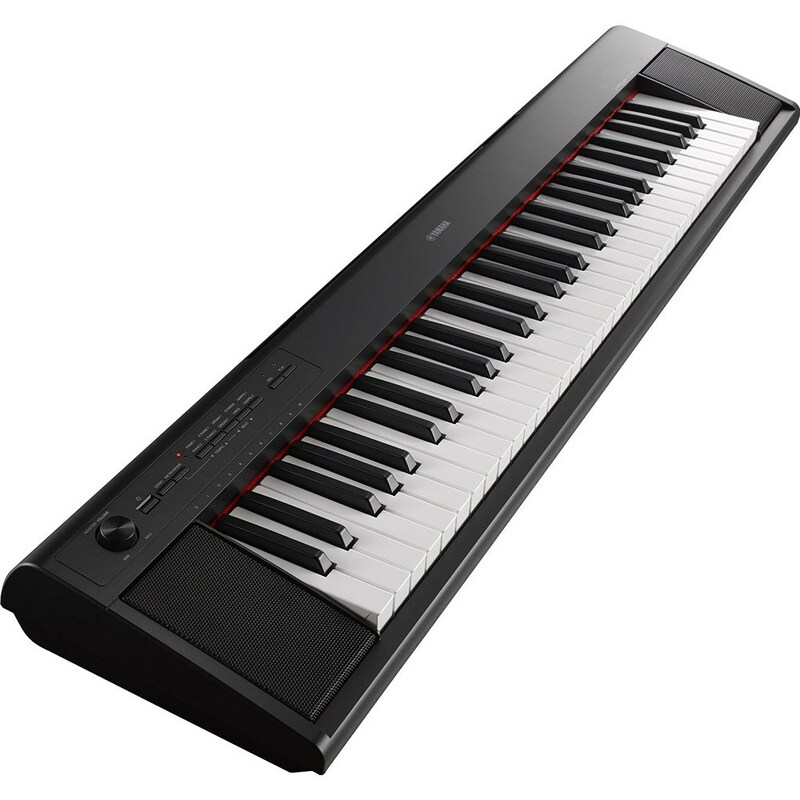 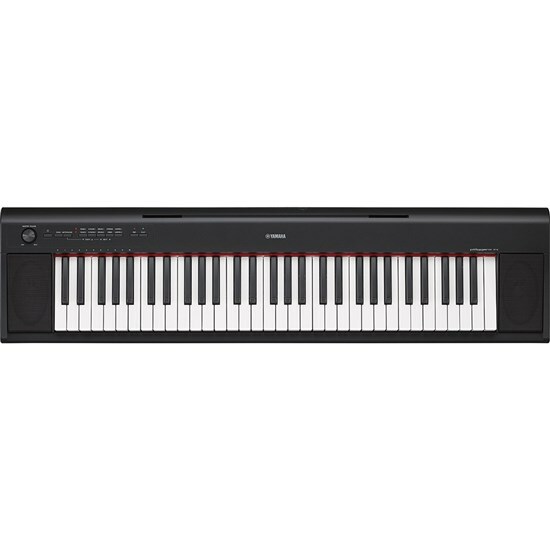 Lightweight and compact, the 61-key Yamaha NP-12 portable keyboard is the perfect instrument to take along to jam sessions or to use anywhere you have limited space. 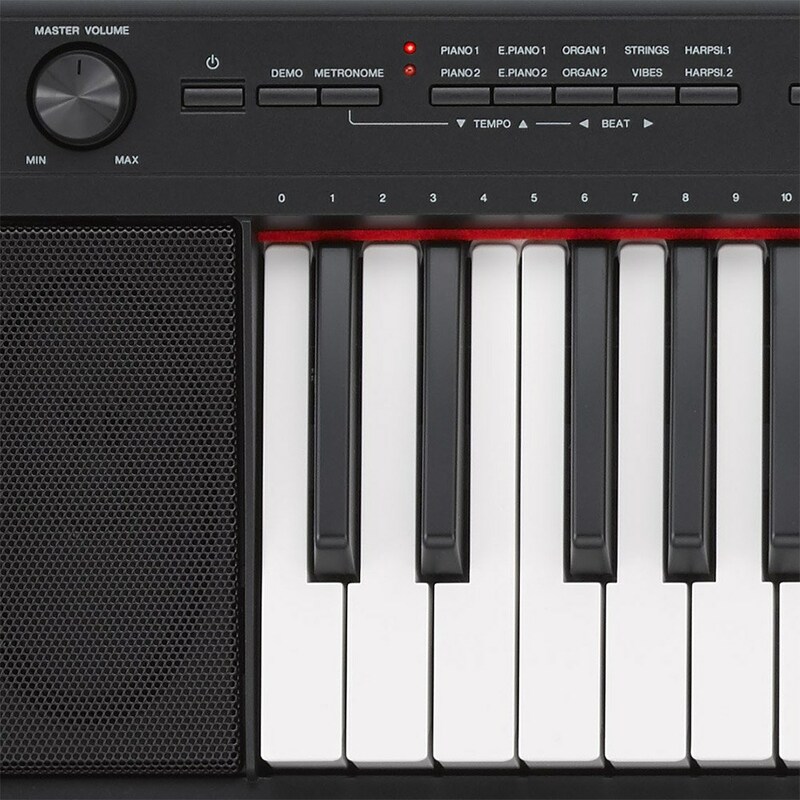 Delivering superior tone, the NP-12 keyboard is compatible with a variety of Yamaha apps to make creating music easier and more fun. 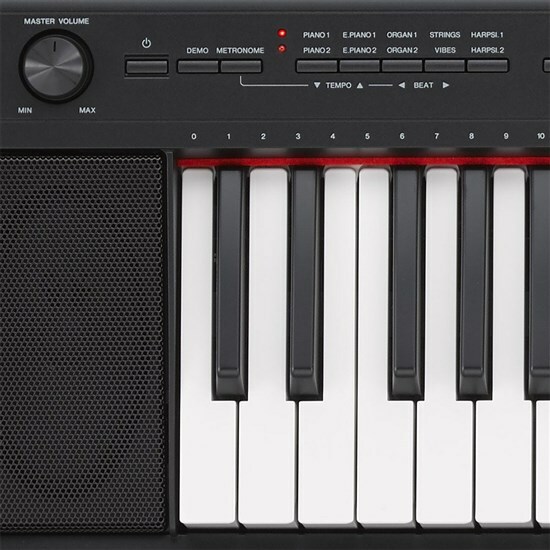 A one-touch record button lets you capture your music with ease, while the USB port allows you to transfer tunes to electronic devices for editing or simply for your listening enjoyment. 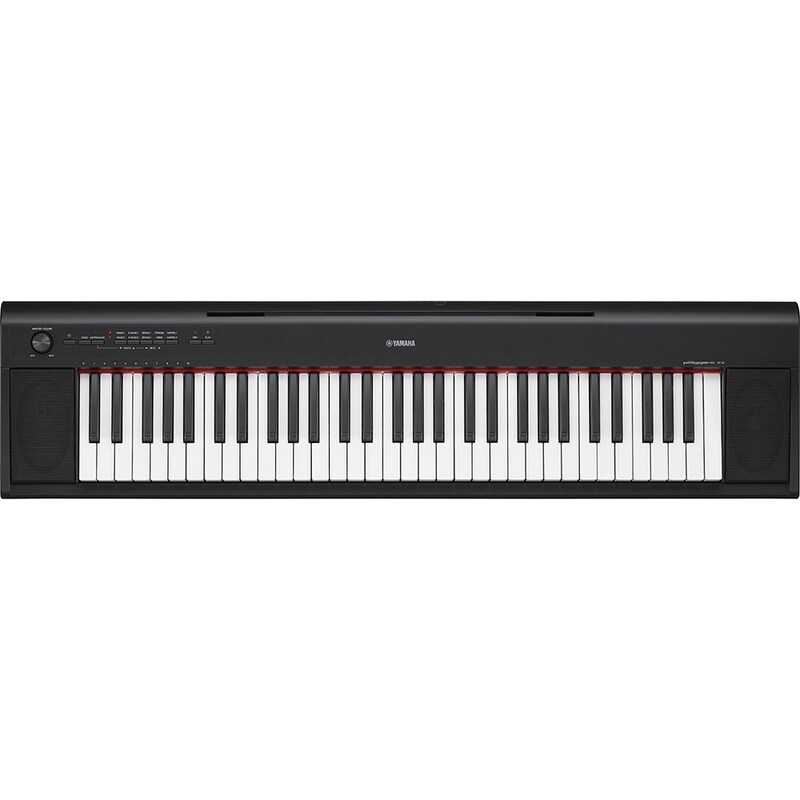 Power your keyboard via the AC adaptor for convenience, or load it with AA batteries when you want to play outdoors or in another location lacking an electrical outlet.